Fasten off. Leave a tail for sewing. Rnd 9-15: sc in all 48 st.
Rnd 14-16: sc in all 30 st.
Rnd 18-21: sc in all 24 st.
Rnd 23-24: sc in all 18 st.
Rnd 4-5: sc in all 18 st.
Rnd 6-10: sc in all 18 st.
Rnd 7-11: sc in all 18 st.
Rnd 17-19: sc in all 13 st.
Sew the parts of your crochet pony. Make the mane and the tail using a melange yarn. Embroider the eyes and nostrils. The amigurumi pony is done! Goedendag, kan ik dit patroon ook in het Nederlands downloaden? Hi, how much yarn I need for it? achei q está faltando algumas considerações como troca de cor, e principalmente a parte da costura, necessário reavaliar a receita. Thank you so much for sharing this pattern. I’ve made one complete one and in the process of two more. I have used a different head/body pattern, then used your pattern for horn and ears. I just can’t seem to get the eyes right. And I always put the ears in the wrong position, but they still come out cute. I don’t see the instructions on joining the individual parts together? Or how to attached the hair? How many balls of the yarnart jeans do I need to buy? Can anyone give direction for where to put the pieces on this? It says easy but there are no instructions. Thank you and I love the pattern! Just need few directions or even picture directions on putting it all together. First just want to say this is a beautiful handmade toy anyone would love and cherish. I paid for the PDF version thinking there would be a little more instruction for instance where to put eyes & nostrils and also instruction for the mane and tail. 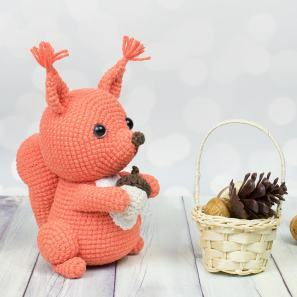 And what kind of yarn was used for the horn, it is not listed on the free pattern or the paid pattern. So little disappointed that the paid pattern is missing a few things along with the free one and no instruction for putting it together etc. when it is listed as an easy patter. This is not for beginners but I am going to move forward and make this little guy! Again beautiful toy just needs a little bit more instruction. This was a fun super quick project. It took 3 stores but I found yarn that was close enough to the yarn on the picture. 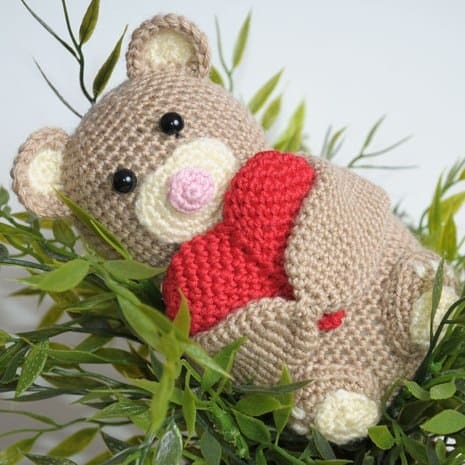 Hi Rebecca; I buy Lions Brand Pound of Love baby yarns on line. It comes in all colors not just pastels. It averages about $12 for the one pound skein, it’s acrylic and machine washable. Amazon sells the safety eyes, too. And the color chart on Amazon is a perfect match to the yarns I buy. I love this site and all the patterns. Thank you so muc! Hi thanks for the free pattern. May I check if this is done using joining rounds or continuous round? Thank u. When it says repeat 6 times, for example in the muzzle it says “sc in the next stitch, inc” then “repeat 6 times” do you repeat the sc and then increase 6 different times or do you just sc in each stitch? 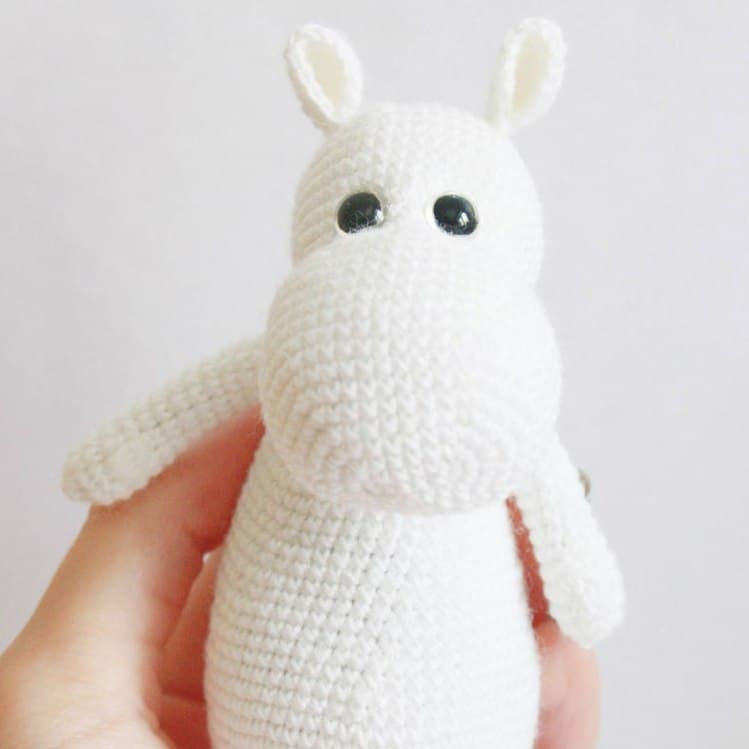 I am very confused as this is my first amigurumi that I want to make. 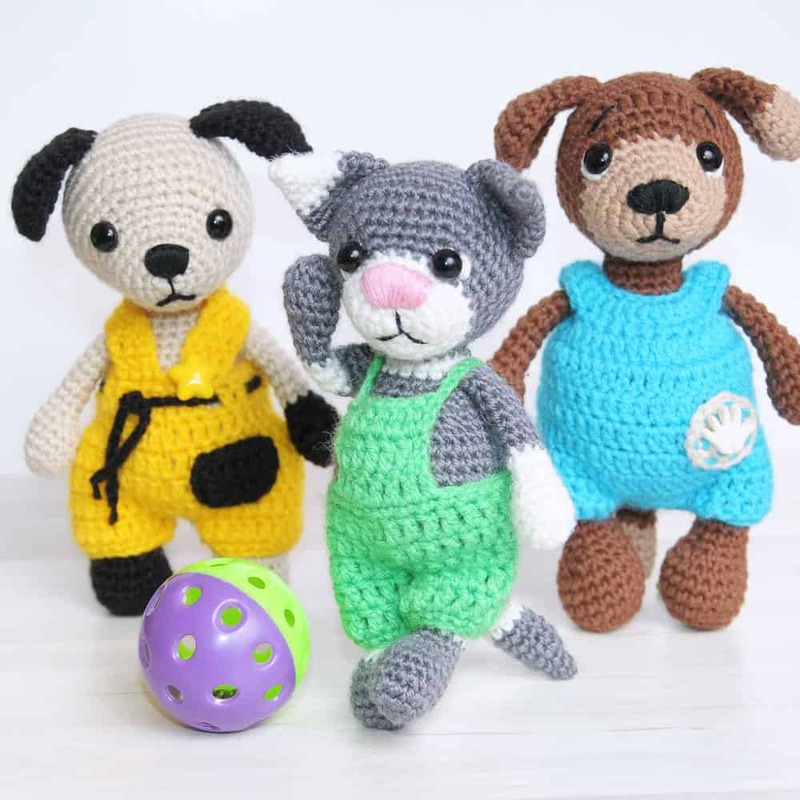 (sc in the next st, inc) repeat 6 times = sc in next st, inc, sc in next st, inc, sc in next st, inc, sc in next st, inc, sc in next st, inc, sc in next st, inc.
Can I use baby wool for the body and horn and something I find similar to what you’ve used for the muzzle and hooves? I’m new to crocheting things other than squares and I’ve only ever used baby wool before so I don’t know any brands or weights or anything, or if I can get them at my local stores. I’m just wondering if I try it with other yarn/wool if it will effect how it turns out? How big is the finished unicorn?? It depends on your yarn weight and hook size. Where can I purchase Adelia Sofia yarn in the United States? I think you can purchase it online. erg leuk patroon, een slapende eenhoorn, mijn 2 kleine kleindochters zullen blij zijn als ik deze voor hun ga haken. bedankt voor het delen. 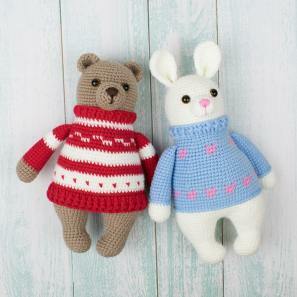 Where would i find adelia sofia yarn? I cant seem to get it on an English website. I can’t seem to sew the eyes right. Any tops? Or video how-to? In reading the pattern, I did not find what yarn you used for the horn. I love this pattern! Thank you so much for sharing! This is the first amigurumi I have ever made and it looks so cute :-). It is going to make a little girl very happy on her birthday! I have not heard of the brand of yarns used. I’m in the US. Is there another brand I can use that would be the equivalent? I did a search for the yarn for the mane and tail but can’t find it anywhere. Do you know when I can purchase it? Hi Amber, you can try to search chenille yarn of other trade marks in your city. There are lots of them. For the tail did you go through one stitch and do a knot? And how did you do the mane? 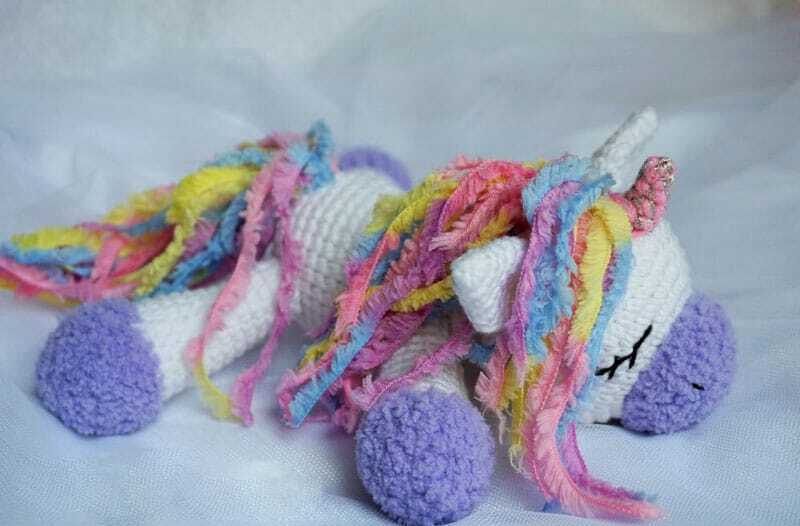 I would like to make this unicorn, but I can’t find a way to get the pattern. It will not allow me to copy it to my word processor, and when I click on the “get pdf” all I get are more ads. Can you tell me how to copy the pattern? Do you use the same yarn for the horn as the mane and tail? It doesn’t look like it is the same texture. Hi Julia 🙂 Please have a look at the material list. It contains the required info. Hi. 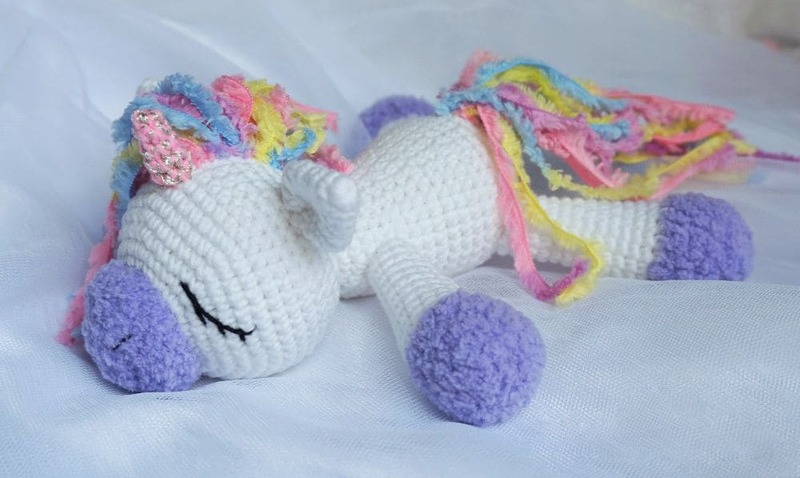 I have a question about translating this unicorn pattern. I can find a mail to cantact you on. Hi Anne, translation in other languages is not allowed. I am in love with this. I am going to try this. I am new to crocheting, so I hope it will be easy. I read the instructions, and it looks like I can handle it. Hello, i love this unicorn! can someone tell me what’s the final size? Hi Lucy, the size depends on your yarn weight, hook size and tightness of stitches. It’s about 20-30 cm. Hi Linda, the size of the toy depends on the yarn weight. Sorry I can’t say the exact formula to get 40 cm toy. How can I print the pattern. It will not print for me. FYI the paid version has no more instruction than what is on the page with ads. 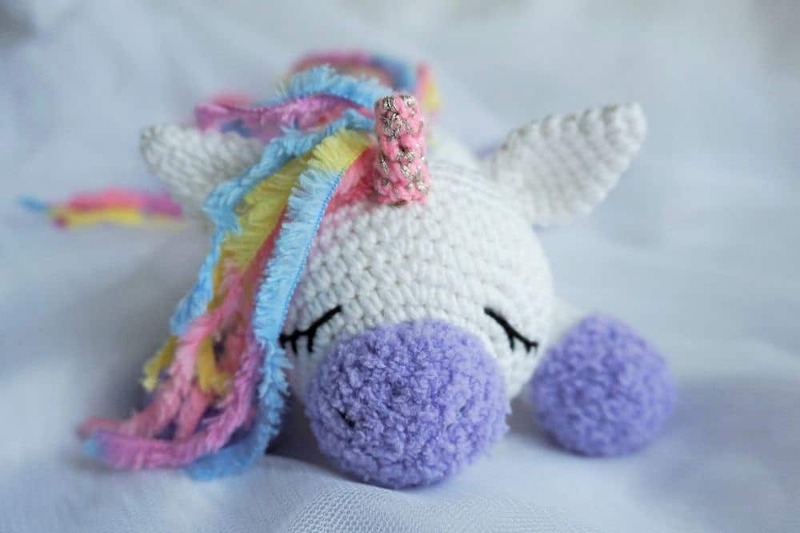 I paid for it thinking there would be a little more instruction on putting this cute little unicorn together, I was wrong! However just finished crocheting all parts and will be figuring out how to put it together. What yarn and hook did you use??? i thank you very much as I love to crochet quick stuff.